Try a Trail Quest with these food & drink trails. From dumplings in the City to a beer in Surry Hills. These Trail Quests are a fun way to explore, discover and enjoy a day out. These Trail Quests are great to do after work with friends. 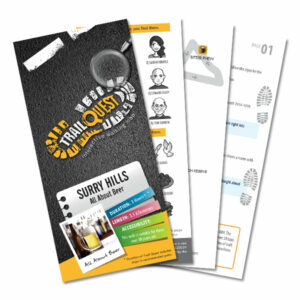 Or if you are looking for something different to do on date-night, you’ll have a great time with a Trail Quest! Follow the directions, find the clues and solve the puzzle. 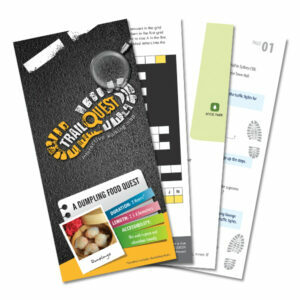 Once purchased, you can download and print the Trail Quest straight away. So, you can start exploring today.